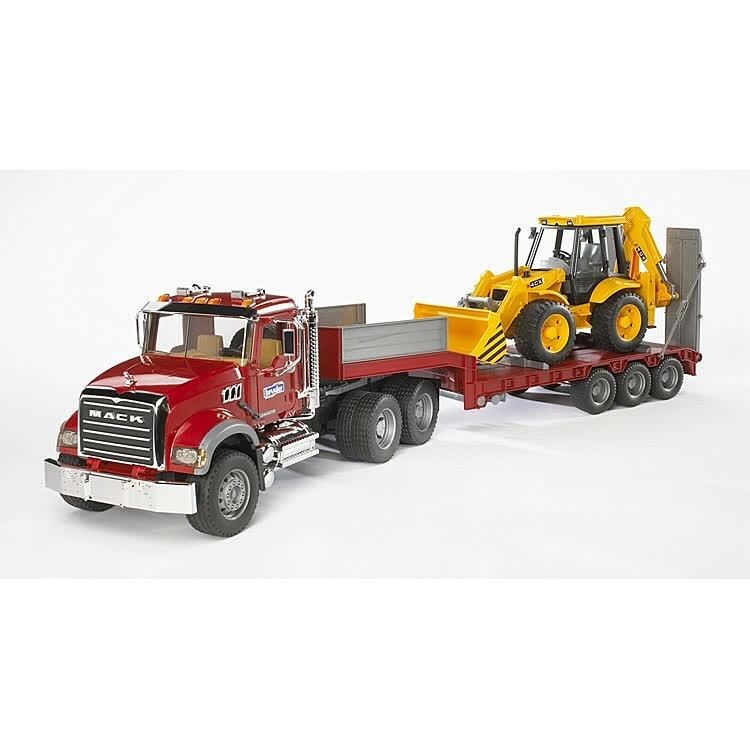 This incredibly realistic MACK Granite low loader comes with the functioning JCB backhoe loader to implement all your child's construction or transportation projects. 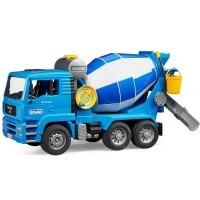 This super deluxe vehicle set is any boy's dream! 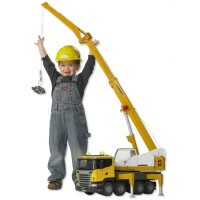 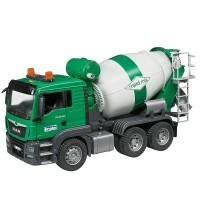 Superb quality down to the finest detail is what Bruder MACK series toy trucks are about. 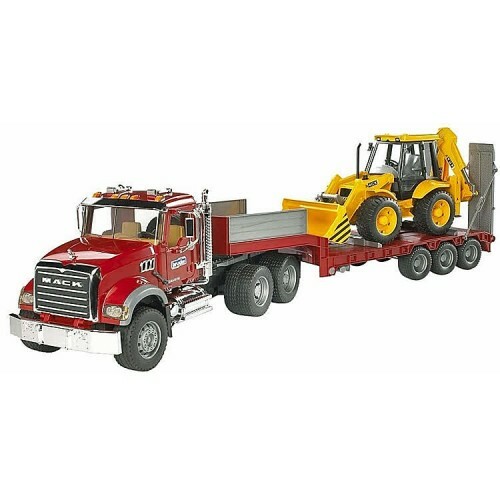 MACK Granite Low loader Truck and JCB Backhoe Loader 2 Vehicles Set brings amazing 2 Bruder vehicles that will create a playroom construction site or pretend truck garage for imaginative young driver. 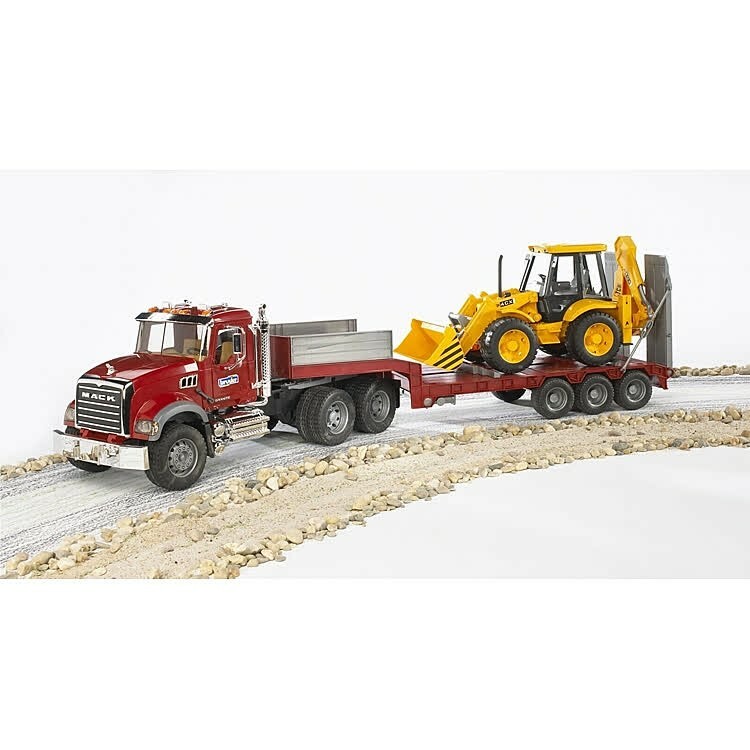 The MACK Granite low loader features realistic looking and functioning driver's cabin with opening doors. 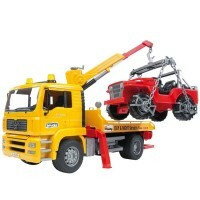 The low loader has tilting engine bonnet if your child needs to check the engine block. 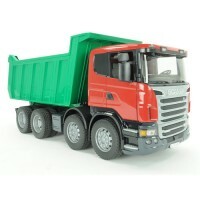 This dark red chrome truck has foldable rear-view mirrors, and the many add-on play accessories. 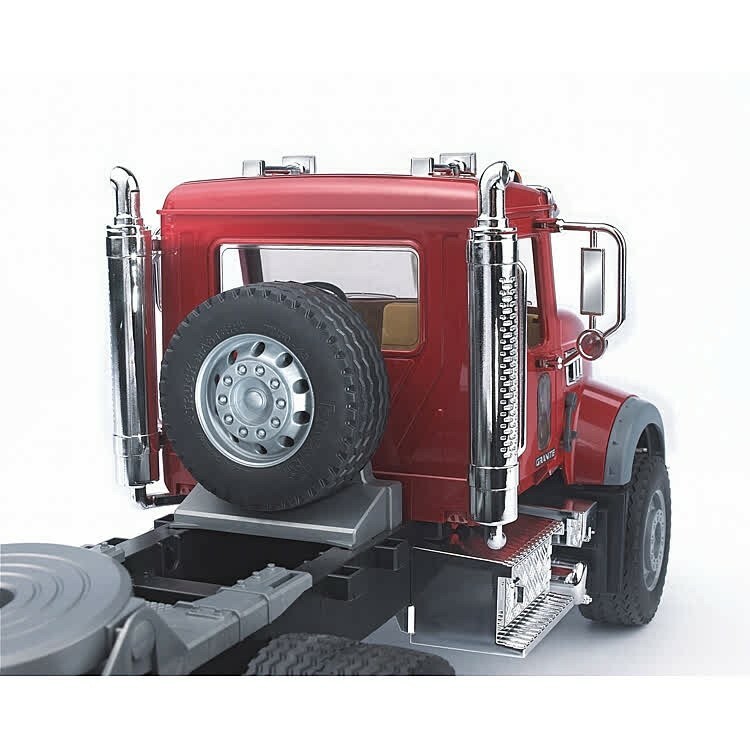 Important parts of the truck equipment are the adjustable locking strips, which are intended to secure the vehicles during transport. 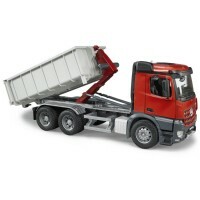 The access ramps can be folded down. 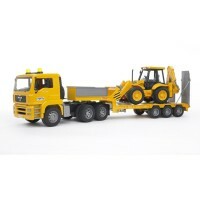 If you add to this impressive list the sculptured tires, you can imagine how happy the young truck fan will be. 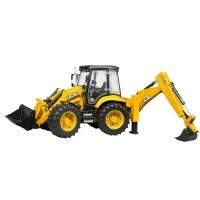 The rake blade attached to the toy Caterpillar Bulldozer is height adjustable and tiltable. 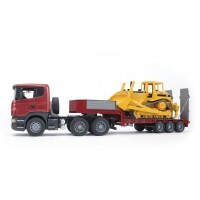 The scarifier can be lowered into its work position for all construction projects. 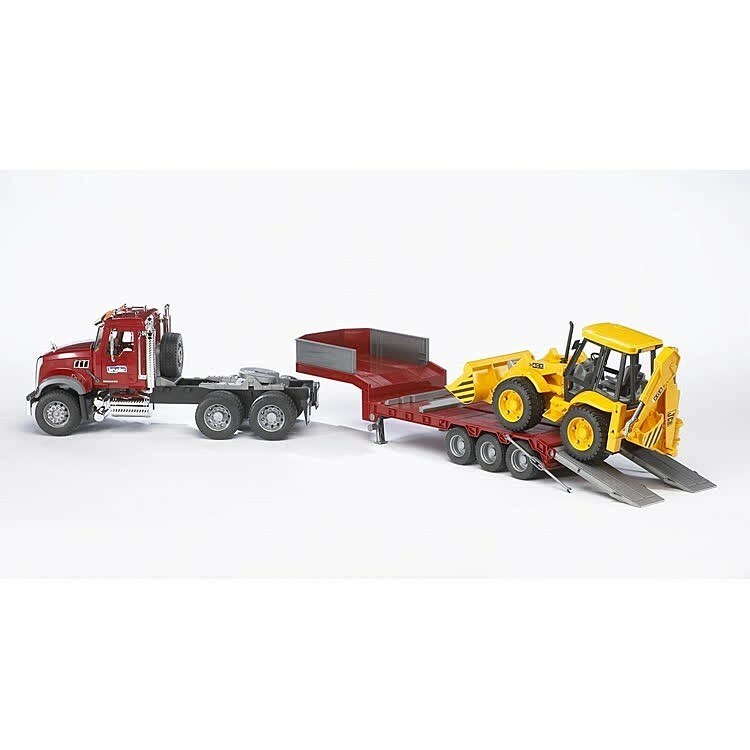 MACK Granite Low loader Truck and JCB Backhoe Loader 2 Vehicles Set has everything to make your boy happy: the functionality, finish, design, and play value. 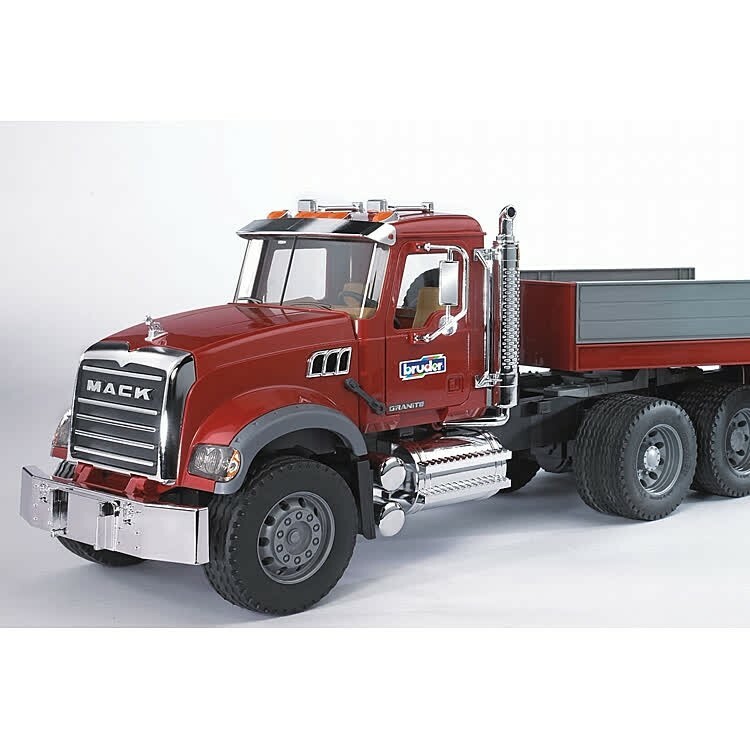 Both toy vehicles are made in scale 1:16 to the real MACK and CAT vehicles. 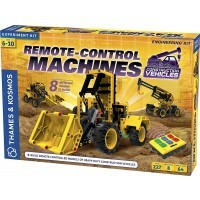 This deluxe construction vehicles set from Educational Toys Planet will super cool gift for a boy who loves playing with cars and trucks. Dimensions of package 7.8" x 36.8" x 10.4"
Write your own review of Bruder MACK Granite Low loader Truck and JCB Backhoe Loader 2 Vehicles Set.